Will a reckless driving conviction affect my ability to keep my CDL? A valid CDL is a requirement for many different types of positions throughout Virginia. However, a reckless driving conviction can result in a CDL suspension or disqualification. 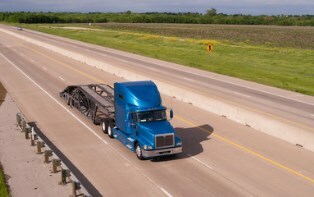 A CDL is essentially a higher level version of a regular driver's license. You can't have a valid CDL unless you've already received a basic Class D Virginia driver's license for operating passenger vehicles. Whenever your regular driver's license is suspended for reckless driving, you'll be unable to legally drive a commercial motor vehicle. The restricted license that some drivers are able to get for work-related purposes won't allow you to operate a commercial motor vehicle. Two serious violations in a three-year period results in a 60-day CDL disqualification. Three or more serious violations in the same timeframe results in a 120-day CDL disqualification. Aside from the penalties Virginia assesses for reckless driving, your employer might have rules about who is allowed to continuing operating vehicles in its fleet. Even if you were operating your personal vehicle at the time and have no previous disqualifying offenses on your record, your employer may choose to discipline you or terminate your employment because of a reckless driving conviction. If you depend on your CDL to earn a living, you need an aggressive defense against a reckless driving charge. Call to schedule a free, no-obligation initial consultation with Virginia attorney Charles V. Hardenbergh. 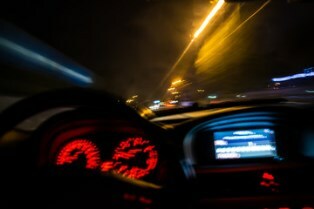 Can I get a restricted license if I’m convicted of reckless driving? Losing your license due to a reckless driving conviction can present significant hardship. 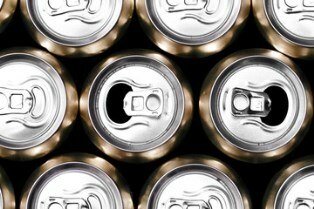 However, you may be able to get a restricted license if you petition the court. Restricted licenses are not granted automatically. You must specifically ask for a restricted license when you appear before the court, and the judge has the authority to grant your request at the time of your reckless driving conviction. Requests are approved based on a legitimate need for transportation, since a restricted license only allows you to drive for very specific purposes. In Virginia, restricted licenses are typically issued as a green sheet of paper with a list of specific driving restrictions. You must sign the paper, and keep it with you when you're driving. It's vital to keep in mind that a restricted license does not allow you to drive for any reason other than what's specifically approved by the court. You can't make any deviation from your route, even if it's as simple as stopping to pick up a friend on your way home from work or grabbing a gallon of milk after school. If you drive for unauthorized purposes, your restricted license can be revoked. You may face additional fines and added jail time to your reckless driving sentence. 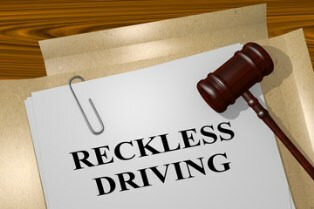 An experienced reckless driving attorney can help you build a strong defense against a reckless driving charge, request a restricted license, or file an appeal. Call to schedule a free, no-obligation initial consultation with Virginia attorney Charles V. Hardenbergh to learn more about your legal options. Will a reckless driving conviction impact my military service? 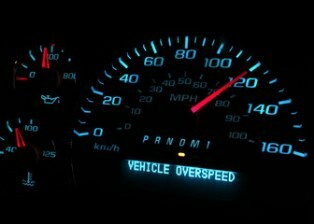 Reckless driving convictions are considered criminal charges, unlike a simple traffic violation such as speeding. This means that a conviction can create problems if you're currently serving in the military or are hoping to enlist. Each branch of the military has slightly different rules for how a reckless driving conviction affects men and women hoping to enlist. Air Force. If you're hoping to serve in the Air Force, keep in mind that reckless driving is a Category 4 moral offense on the same level as disorderly conduct and unlawful possession of alcohol or tobacco. You can be disqualified for having two or more Category 4 offenses within the last three years. However, a recruiting squadron commander can sometimes have the disqualification waived if your other qualifications are strong. Army. To serve in the Army, you need to consider your total number of misdemeanor convictions. Two or more misdemeanors require a waiver for enlistment, while four or more will disqualify you from service. Marines or Navy. For those who want to enlist in the Marines or Navy, misdemeanor reckless driving convictions can be waived at the district level. Those who are currently serving in the military must report a reckless driving arrest to their commanding officer. The associated penalties for this infraction vary according to branch of service, but maintaining your security clearance may be an issue of concern. The military assigns three levels to security clearances: confidential, secret, and top secret. As your level advances, the requirements to get or maintain a clearance increase. Reckless driving is not automatically disqualifying, but it factors into your rating for honestly, reliability, trustworthiness, and loyalty. If you're hoping to enlist or are currently serving in the military, don't simply pay your ticket and accept the consequences. An experienced reckless driving attorney can help you build a strong defense, using strategies such as a speedometer calibration or agreeing to complete a driver improvement clinic. You may be able to have the charge reduced to a lesser infraction such as improper driving or dropped all together. To learn more, call to schedule a free, no-obligation initial consultation with Virginia attorney Charles V. Hardenbergh. Should I sign the ticket the police officer gives me? When you receive a reckless driving ticket, you might find yourself wondering if signing the ticket is the same as admitting guilt. The confusion is understandable, but your signature is only a promise to appear in court. Virginia considers reckless driving a criminal charge instead of a simple traffic violation. However, most drivers aren't going to be handcuffed or taken to a police station when charged with this offense. The ticket the officer gives you after you've been pulled over is considered a legal summons that replaces traditional forms of custodial arrest. Your ticket will show a date, time, and location where you are expected to appear in court. Your signature is considered a promise to appear to address the charge. If you refuse to sign the ticket, the officer can legally assume that you don't intent to make your required court appearance. As such, he is allowed to take you into custody and book you on the charge. Regardless of whether you believe you're guilty of reckless driving, signing the ticket is always in your best interests. After you receive your ticket, don't panic. Reckless driving carries stiff penalties, but an experienced attorney can help you prepare an aggressive defense against the charge. You may be able to use factors such as a completing community service, attending a driver improvement clinic, or submitting a speedometer calibration to have your charge reduced to a lesser offense or dropped all together. Although arresting officers have quite a bit of discretion in issuing reckless driving tickets, judges have an even greater authority. If you are polite and respectful during your court appearance and have representation from a skilled attorney, there's no reason to believe one simple mistake will cost you your future. Virginia attorney Charles V. Hardenbergh is dedicated to helping drivers build the strongest possible defense for their reckless driving cases. Call today to schedule a free, no-obligation initial consultation. How much discretion does a police officer have when making a reckless driving arrest in Virginia? In most cases, reckless driving is considered a Class 1 misdemeanor. This is a criminal offense that carries a fine of up to $2,500, jail time of up to 12 months, and six demerit points on your driving record. It would be a grave mistake to simply accept these consequences without a fight, given the amount of discretion officers have in deciding whether to charge you with this offense. Additionally, an officer has the authority to charge you with reckless driving if he thinks you are driving in a way that endangers the safety or property of yourself or others. This might include aggressive driving, distracted driving, or mistakes made due to a lack of experience on the road. Even drivers who swerve to hit a deer and get into an accident as a result can be charged with reckless driving if the officer deems it appropriate. Enlisting the eservices of an experienced reckless driving attorney is the best way to ensure that one mistake doesn't ruin your future. Virginia attorney Charles V. Hardenbergh has extensive experience helping Virginia drivers build an aggressive defense to reduce or drop a reckless driving charge. Call today to schedule a free, no-obligation initial case review. A reckless driving conviction is considered a criminal charge, unlike a simple traffic violation such as speeding. Because of this, a conviction must be reported on any job application that asks whether you have a criminal record. If you're searching for a new job, this can make it more challenging to find a suitable position. 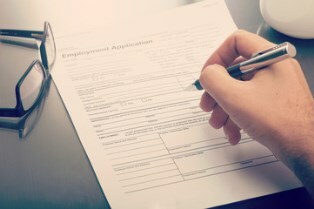 As part of the initial screening process, it’s becoming increasingly common for employers to ask whether an applicant has a criminal record. A reckless driving conviction is typically a misdemeanor, but it still must be reported unless the application specifically asks for only felony convictions. If you fail to include it on your application, you could be terminated at a later date if your employer discovers the deception. Virginia law does not allow crimes, even those classified as misdemeanors, to be expunged. This means that your reckless driving conviction will appear on your criminal record indefinitely. However, applications typically only ask about convictions from the last seven to 10 years. Whether or not a reckless driving conviction will prevent you from being offered the job depends on a few different factors. If the job doesn't require driving and the employer treats each conviction on an individual basis, the reckless driving conviction might not be a deal breaker. However, if the job requires a clean driving record, it's likely that a recent reckless driving charge will cost you the job. Corporate insurance policies usually have specific requirements for the types of employees who can be covered to operate company vehicles. Since a reckless driving conviction can make obtaining employment significantly more difficult, it's a mistake to simply pay the ticket and accept the consequences. Virginia attorney Charles V. Hardenbergh is committed to helping drivers who've been charged with reckless driving use defenses such as speedometer calibration or options such as completing a driver improvement program to get the charge reduced or dropped. Call today to schedule a free, no-obligation initial case review. What happens at an arraignment for reckless driving? For most people who've been charged with reckless driving, an arraignment is their first experience with a criminal proceeding. Virginia uses the term arraignment to refer to a first court appearance, and the purpose of an arraignment is to go over issues that need to be settled before trial. 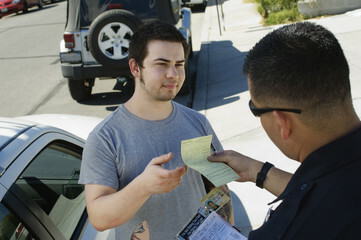 Your reckless driving ticket will state if your case is set for arraignment or trial. However, you can also learn this information by calling the court clerk's office. Charges. 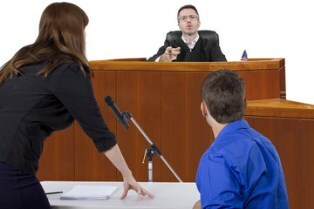 The judge will state the charges against you and ask if you understand them. Legal representation. Since reckless driving carries the possibility of jail time, the judge will inform you that you have a right to be represented by an attorney. You have three options: hire your own attorney, waive your right to an attorney, or ask for a court-appointed attorney. To receive a court-appointed attorney, you must meet the state's low-income requirements. Next step. If you've decided to waive your right to an attorney, the judge may ask if you want to go ahead with the trial that day. Otherwise, the next step is to schedule the date for your trial. If you have already hired a reckless driving attorney to prepare your defense, you may not need to be physically present for the arraignment. Some courts allow the attorney representing you to appear in court on your behalf, while others simply ask for a formal notice that the attorney is representing the accused. It's typically safest to assume that you should plan on appearing in court for the arraignment unless your attorney informs you otherwise. The penalties associated with a reckless driving conviction are stiff, and obtaining skilled representation is the best way to keep this charge from ruining your future. Virginia attorney Charles V. Hardenbergh is committed to helping drivers build the strongest possible defense for their reckless driving cases. Call today to schedule a free, no-obligation initial case review. Under Virginia law, certain types of behaviors can be charged as either reckless driving or aggressive driving. Which citation you receive will depend on the perceived intent behind your actions. The primary difference between reckless driving and aggressive driving is that reckless driving only requires that you engage in unsafe behavior. Aggressive driving requires unsafe behavior with the intent to harass or scare other drivers—similar to what’s referred to as road rage. 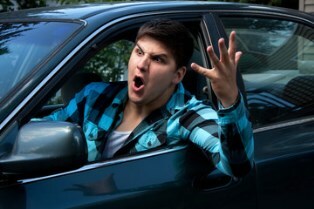 Both reckless driving and aggressive driving are typically considered misdemeanors. This means they are criminal charges, unlike a simple traffic violation such as a speeding ticket. Reckless driving and aggressive driving convictions carry stiff penalties, including fines, jail time, and the stigma of a criminal record. A conviction will result in higher insurance rates as well as difficulty passing a pre-employment background check. Drivers who are in the military, applying to medical school, or seeking a green card to become a permanent U.S. resident will also find that a conviction can cause problems for many years to come. Virginia defense attorney Charles V. Hardenbergh is committed to helping drivers beat both aggressive driving and reckless driving charges. His skilled representation draws on his past experience as a JAG officer, law professor, and federal prosecutor. Call today to schedule a free, no-obligation initial consultation. Are reckless driving penalties different for teen drivers?